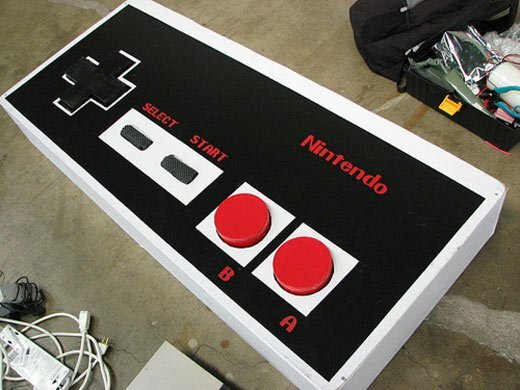 You won’t have any trouble finding the buttons on this massive replica of Nintendo’s famous NES controller. 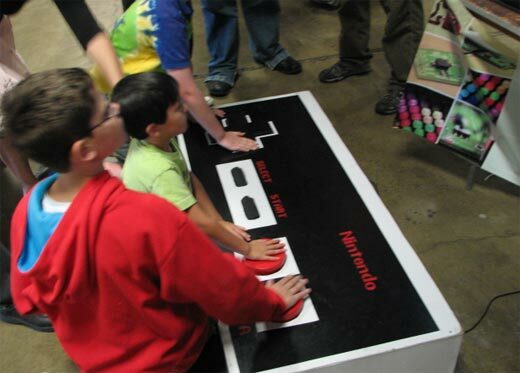 Game fan Philip Torrone and his team of builders put together this 5-foot wide joypad for the recently completed 2007 Maker Faire. Constructed mostly out of wood and assorted other parts, the controller is fully functional for playing games. It’s actually so large that it requires multiple players to push on the buttons in order to operate it, enabling what I think could be called the first ever co-op gaming mode for an 8-bit console.